Richard Toye and Andrew Thompson discuss Robinson and Gallagher’s article ‘The Imperialism of Free Trade’. 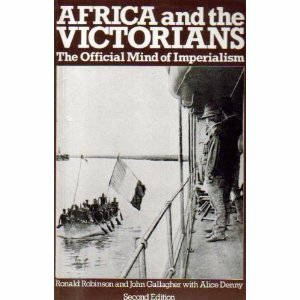 Richard Toye and Andrew Thompson discuss the partition of Africa in the late nineteenth-century and the famous phrase ‘the official mind of British Imperialism’. More to come soon, so keep checking back on our blog! Previous Winston Churchill – Liberal Imperialist?